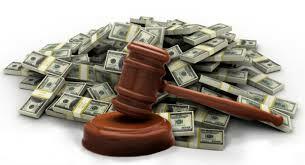 Recent federal court decisions relaxing the standards for class action certification must have plaintiff class action lawyers around the country celebrating. It now seems that a mere handful of customer complaints can support a class action lawsuit on any consumer product. What should manufacturers do to address this development and resulting increase in liability exposure? Should they spend more money up front to resolve warranty claims, before they end up in suit? Or, should they fight it out in court and hope to curtail the recent trend? Either way, we suspect manufacturers’ costs are going up. Just last year, it looked as though the trend would move in the opposite direction. In Comcast v. Behrend the U.S. Supreme Court appeared to impose tougher procedural standards for class certification by requiring common injuries to be established on a class-wide basis. The Comcast Court rejected class certification of cable-television customers as too diverse to be included in a single lawsuit because there was no single theory that could explain their damages. Following Comcast, the class certification battleground heated up again in the federal Sixth and Seventh Circuit Courts of Appeals. In both courts, relying on Comcast, defendant-manufacturers challenged class certification in lawsuits involving warranty claims. In Sears v. Butler and Whirlpool v. Glazer , a small percentage of customers complained about problems with the defendants’ front-loading washing machines, alleging that they grew mold and mildew, which ruined laundry and produced a vile odor. The plaintiffs claimed the defendants defectively designed the product and, under warranty, were obligated to repair the washers. In rulings seemingly at odds with the Supreme Court’s Comcast decision, the Sixth and Seventh Circuits held that reports of a “musty odor” emanating from a small proportion of the washing machines could place every consumer – even those who made no complaint – into a plaintiff class. On review, the Supreme Court vacated the decisions and directed the appeals courts to reconsider their decisions under the standards set forth in Comcast. It appeared that the Supreme Court was instructing its lower courts to follow stricter standards for class certification. However, upon remand, the Sixth and Seventh Circuits again ruled that the mere indication of the defect was enough to justify class action litigation on behalf of all who bought the washers. These courts ignored the lack of common legal and factual issues surrounding the cause of odor, as well as the fact that only a small proportion of consumers who purchased the alleged defective machines actually contacted Whirlpool or Sears’ service centers to report a problem. 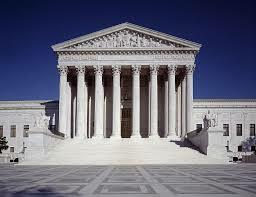 The defendants petitioned the Supreme Court review the second round of appellate decisions. But, in a ruling issued earlier this year, it refused to do so. This left the defendants with no further recourse but to settle the case or proceed to trial. Trial in the Whirlpool matter started last week. And, the Supreme Court has, it seems, now signaled that it did not intend to restrict class certification standards against product manufacturers, and may be suggesting that standards could be relaxed further to cover even circumstances where class plaintiffs’ allege different injuries and caused in different ways. Another recent Seventh Circuit decision, In re IKO Roofing Shingle Products Liability Litigation, further marginalizes the impact of Comcast. The IKO Roofing plaintiffs alleged that they were misled by the manufacturer’s claims about the quality of their organic roofing shingles. The consumers who bought the shingles had differing experiences ranging from poor installation, to weather related damage, to failing to meet industry standards, so the defense objected to class certification because the plaintiffs lacked common injuries. The federal District Court agreed and denied class action certification because of the differing consumer experiences. On appeal, however, the Seventh Circuit reversed and remanded the case finding that the District Court judge was “under a mistaken belief that ‘commonality of damages’ is legally indispensable” in class action lawsuits. The appeals court went on to distinguish “the encouraged injuries (to producers, from competition) from the forbidden ones (to consumers, from monopoly),” by matching the theory of liability to the theory of damages. In IKO Roofing, the Court pointed out that the plaintiffs offered two main theories of damages while the Plaintiffs in Comcast used an expert to present of four theories of liability. The plaintiffs in IKO Roofing presented a theory of damages that matched their alternative theories of liability, while those in Comcast did not. According to the Seventh Circuit, the Supreme Court’s Comcast decision does not preclude individual damages hearings for certified class actions, and thus loosens the common injuries requirement for class certification. Also, alternative liability theories will not prevent class certification if the plaintiff can offer matching theories of injury. Therefore, manufacturers who experience even a small proportion of customer problems, with differing damages, can have a class action certified against them. Plaintiff class action lawyers have fewer obstacles to overcome in obtaining class certification against manufacturers, which will result in more class actions for manufacturers to defend. The Supreme Court’s refusal to intervene on this issue earlier this year undermines its ruling in Comcast and sets the stage for an influx of class actions by unsatisfied consumers. Loose class certification standards threaten to change the way manufacturers address consumer complaints and introduce products in the marketplace, which, in the end, will drive costs up. Given recent trends, the best course for manufacturers appears to be to avoid the courthouse by closely monitoring product performance and warranty claim issues, and acting quickly to address and resolve customer concerns.